This plugin activates in text files. , and jump to them with . 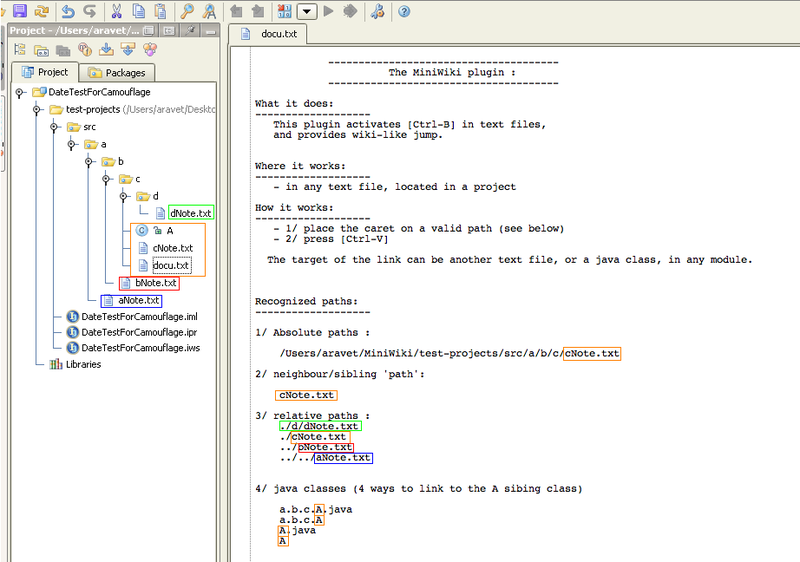 ===> the file/class is opened in an editor. You'll find more info in doc.txt. => you must set up a IntelliJ SDK *1, and link it to the module.